A divided America? A country reluctant to go to war? A country turning its back on genocide? The year 2016? No, the year 1941, the subject of historian Marc Wortman’s new book 1941, FIGHTING THE SHADOW WAR, our guest, Wednesday, July 20, 2016 on The Halli Casser-Jayne Show, 3 pm ET, along with our favorite panel of social and political pundits, our smart, feisty, fabulous, fun, Four Broads Talking™ Lisa Schiffren, Suzanna Andrews, Sheila Weller and our host Halli Casser-Jayne. Conventional ... See More wisdom dictates that the US entered World War II in retaliation for the bombing of Pearl Harbor on December 8, 1941. Historian Marc Wortman sees it another way. In his new book 1941: FIGHTING THE SHADOW WAR, A DIVIDED AMERICA IN A WORLD AT WAR Wortman compellingly reveals the ways in which America played an increasingly significant and clandestine role in the war in the months and years prior to officially joining the battle. Churchill, Lindbergh, the Roosevelt family, FDR advisor and emissary Harry Hopkins, journalists William Shirer and Philip Johnson, Wortman weaves the smart, suspenseful history that reads like an epic novel. It’s all things Donald Trump, the GOP convention, Melania Trump, Rudy Giuliani, Benghazi and Hillary Clinton in our Four Broads Talking™ segment when journalists Lisa Schiffren, Suzanna Andrews, Sheila Weller, sit down for a chat with our frank, fearless, feisty host Halli Casser-Jayne. 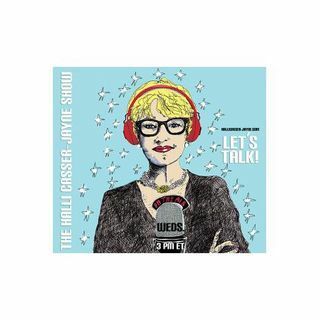 History, politics, Pearl Harbor, isolationism, anti-Semitism, plagiarism, Republicans, Democrats…tune in to The Halli Casser-Jayne Show, Wednesday, July 20, 3 pm ET at Halli Casser-Jayne dot com.